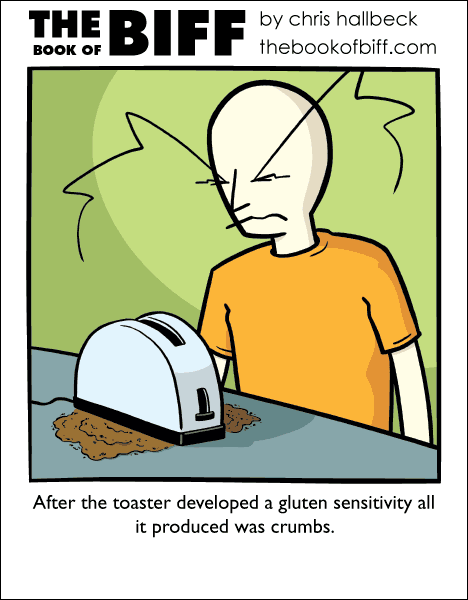 I guess it’s more of a “crumber” than a toaster now. Might be handy if you did a lot of cooking that required bread crumbs. Maybe over a salad? Steaming hot bread dust topping? I came to think of a Garfield strip where Garfield is on a diet, and he eats the crumbs from the toaster, because crumbs are food too! I remember that strip! I think I’ve seen nearly every single one ever….